Profiles of four rising stars. The Local Cow offers a farm-to-table experience in Gresham. 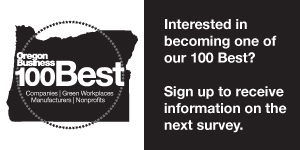 Ranked by number of lawyers in Oregon and Southwest Washington. The vice president of innovation and consumer insight for Kettle Brand, Diamond Foods, talks work, life and play. In the years after the Affordable Care Act, public funding for health care has skyrocketed. Public funding for the arts in the U.S. has always lagged behind first-world countries, with Germany outpacing this country’s arts funding by 40-to-1. At Oregon’s largest public school districts, the financial decline started in 1992. Philanthropy recalibrates as government pulls back.